Lapito House is a contemporary renovation of an old stone farmhouse in Myponga on the Fleurieu Peninsula. 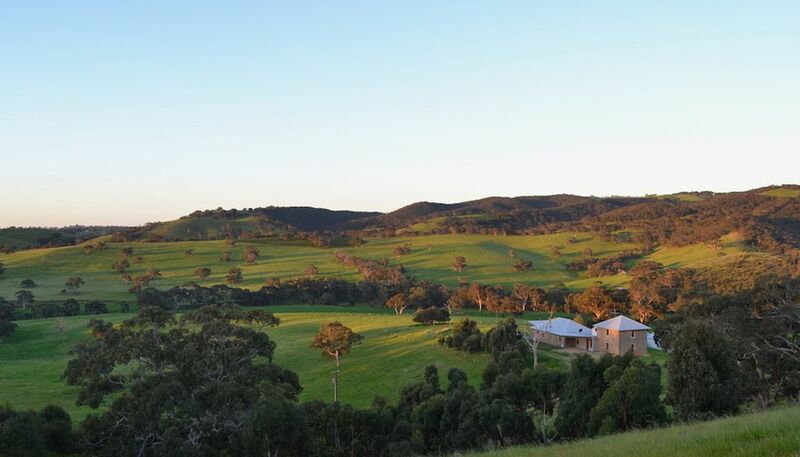 The property spans over 116 acres and borders with the Heysen Trail and Myponga National Park. Just an hours drive out of Adelaide, it is the perfect escape for couples, families and friends who want to relax, enjoy and explore the Australian bush. Both John and Yvonne and their three children planted around 4000 local eucalyptus and acacia trees around the property. Today, the land is in better condition in both built form and landscape than it has ever been. Being designers, they wanted to create something unique, adding their own textiles, restored furniture and a collection of artwork to create the feel of a 'mini museum' of contemporary art and design. Although the interior of the property has been transformed, the original stonework of the exterior has been left untouched. It is the perfect getaway to escape and unwind. Most importantly: pets are welcome. Nespresso Coffee Machine available with pods. Condiments available in the pantry to use. Thank you so much for a wonderful stay, we couldn't think of a better way to celebrate a family birthday! The property is stunning with amazing views from the deck and every window. We spent most of the weekend relaxing and taking it all in, but also had the Heysen Trial and Myponga Conservation Park close for when we were feeling more active. The house itself has been stunningly restored with an amazing array of art, books and furniture which we loved. The fact we could also share it with our dog, Hazel, made it complete. She had an absolute ball and refused to get in the car when it came time to leave! Thank you so much Pia and family and we will be back! Big thanks to the Lapito team, we enjoyed ourselves thoroughly on this (our second) trip to the property. We came on a long weekend with a few couples, a baby and 3 doggos. The property is nestled away and you feel like you're in your own little world when staying here. Our dogs roamed free and we filled the days with long walks up hills to see spectacular views and lazing on the deck with good wine. The kitchen is well equipped for a holiday rental, and the house has great style whilst sill feeling comfortable. Pia the host is delightful and made everything very easy. We'll no doubt be back again. Words cannot describe the beauty of Lapito House!!! We stayed here for our wedding anniversary with our beloved dog Willow. The house itself is stunning and very clean, and the views, well they must be seen to be believed. We were awestruck each morning when we awoke. Complete serenity! To say this is our dream property is an understatement!! Great communication leading up to our visit. We highly recommend Lapito House and are looking forward to going back. A massive thank you for allowing us to enjoy this beautiful home!